I've a huge obsession with Candles! I recently discovered a New Candle Brands I've yet to try, St Eval Candle Company. 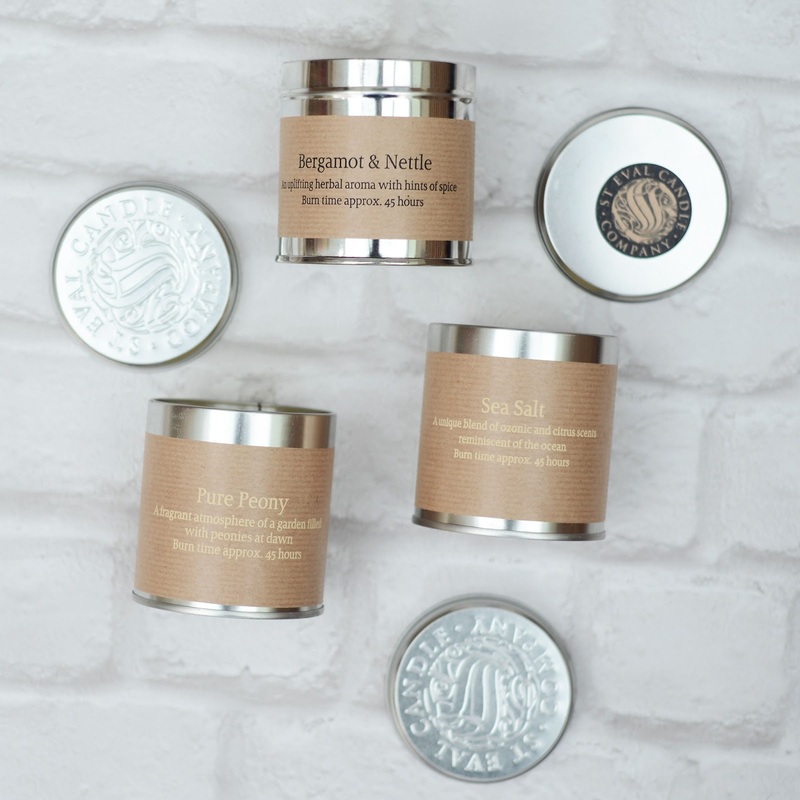 The attractive Silver Tin Candles are £9.00 each. Which to a non candle lover will sound like a lot of money for a tin of wax, but as a Candle Lover you learn whats a good Candle. As theres nothing worth than buying a Candle that doesn't burn like it smells and tunnels through the middle. 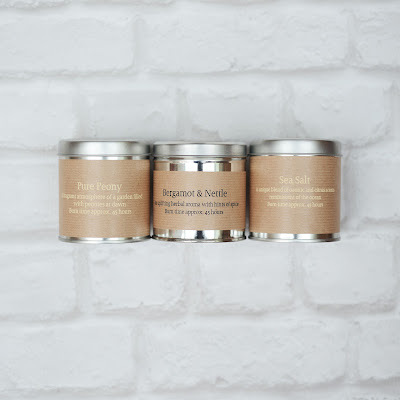 With these Hand Poured, 3 St Eval Tin Candles I was sold by their 45 Hour Burn Time and their Unique Scents that reminded me of Jo Malone Scents with their fresh and floral combinations I had to have all three! Bergamot & Nettle, Sea Salt & Pure Peony. The scents are stunning I fell in love with them all. The Sea Salt Scent is my definitely my favourite. I was intrigued by the 'Salt' aspect with really comes through with a masculine edge but I absolutely love it! I went into two shops today that both sold St Eval Candle Company's Candles and was told by both shop assistant how popular they are. So if you're not familiar with them, I'm sure they'll show up in a shop near your soon. 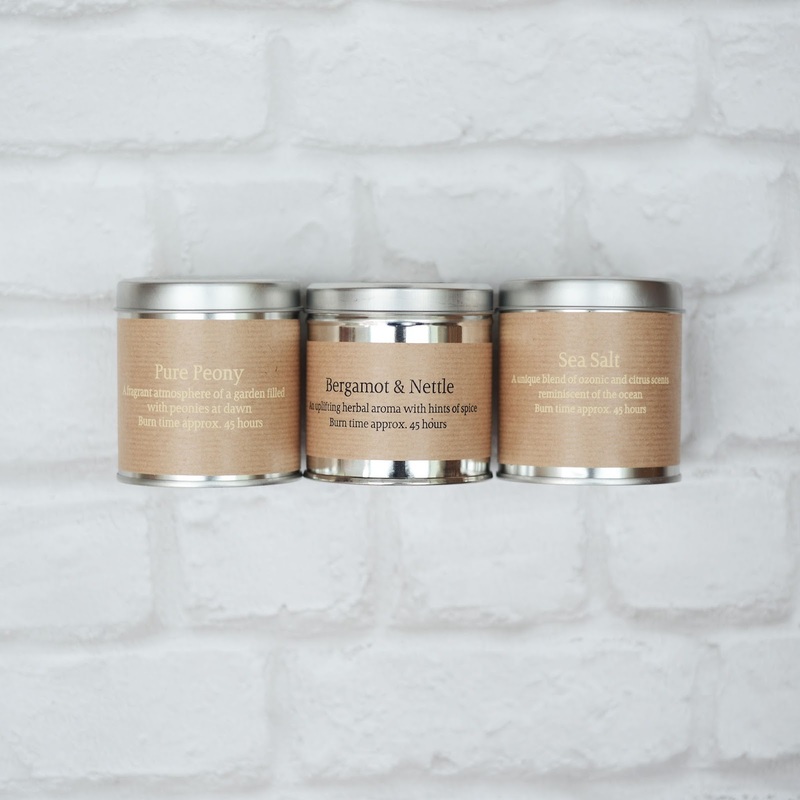 Let me know if you've tried St Eval Candle Company's Candles and which are your favourite scents and the ones I should pick up next! I do most of my weekly shopping in ASDA and love their departments and variety of products. This week I was strolling down the Bath & Body isle to collect some New Shampoo when a shelf of Red Sale/Offer signs caught my eye of £2.50 on all NSpa Products. I mentioned in my July Favourites how much I'm loving my NSpa Massager I picked up from ASDA for 50p. So when I saw their Bath & Body Products on offer at £2.50 Each I had to give it a try! NSpa are exclusive to ASDA however I've never really heard them mentioned as a brand anywhere. They have a range of scents from Eucalyptus to Jojoba and a range of Lotions to Candles. I decided to buy 1 of every Scent so I could pick my favourite once I'd use them, and it's always nice to have a selection! I picked up the Eucalyptus and Sea Minerals Smoothing Sea Salt Scrub, Jojoba and White Jasmine Nourishing Shower and Body Wash and Patchouli and Ylang-Ylang Hydrating Body Oil. I'm so impressed with them! That I had to share them with you! I've never been one for Baht & Body products, I'm much more of a Skincare and Makeup girly. But I thought it was about time I picked some Bath & Body products up. As for the NSpa Products, The Body Wash is so creamy a little goes a really long way. The Scrub is so rejuvenating and makes my skin so, so soft. The Oil is amazing and leaves my skin so hydrated and soothed and the Patchouli and Ylang-Ylang scent is definitely my favourite with a slight masculine edge but so beautiful. I'l definitely be buying more of the brand on my next trip to ASDA as it's so nice to find a brand that out of the 3 Products you tried, that you love them all! 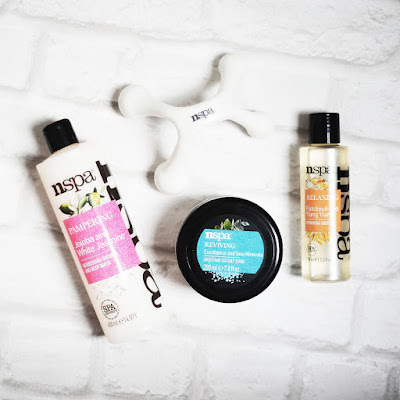 So, when you're next in ASDA be sure to pick up some NSpa products and please let me know what you think via Instagram or Twitter, I'd love to hear your thoughts! 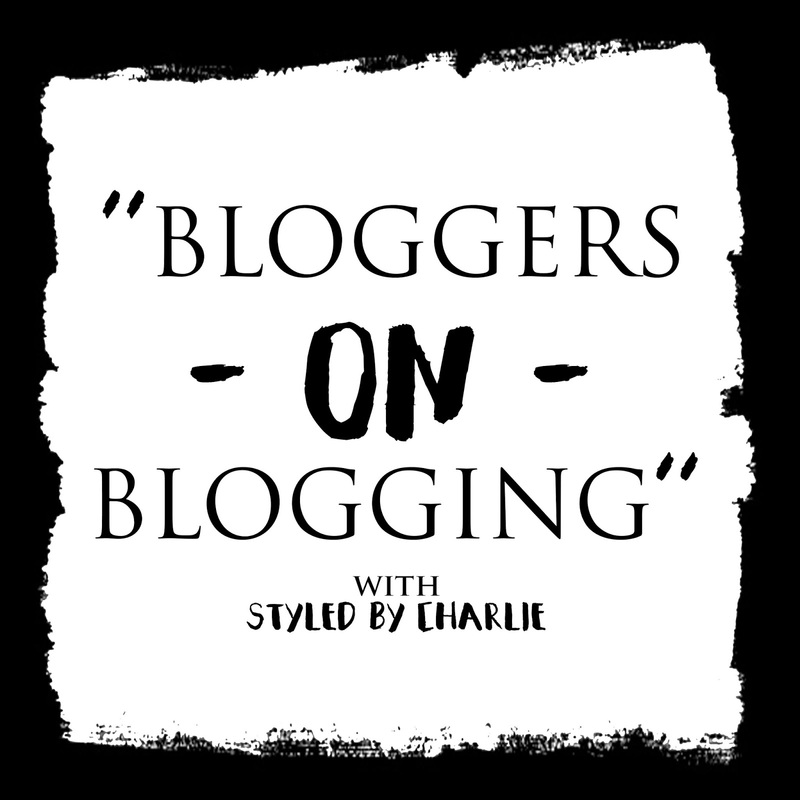 Bloggers themselves are always asking each other questions about 'How they Blog?' 'Why they Started?' but people are also sat out there wondering if Blogging is for them and what comes with it. So I wanted to do a 'Bloggers on Blogging' Project asking Bloggers their thoughts on Blogging so other Bloggers and aspiring Bloggers have somewhere to turn to get those questions answered! Thank you to everyone who contributed and help shape this #BloggersOnBlogging Post! 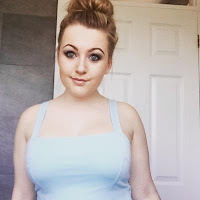 My name is Jordan Dakota Nixon and I'm a 17 Year Old Student and Blogger at www.stylespice.co.uk. I started my Blog in June 2014 and it's about Fashion, Beauty and Lifestyle. I love Blogging - It's my release and hobby. I've loved Fashion and Beauty for such a long time and wanted to share my interests with other people. Originally I wanted to start a YouTube but just didn't have the confidence so I thought I'd start a Blog to write about the things I love and gain writing experience. 2. Your Biggest Challenge when Blogging? THINKING OF THINGS TO BLOG ABOUT! This is actually supper tough. You see all these famous Bloggers writing about their hauls and all their cool things but if you don't have the funs to buy these things all the time then it can be really difficult. I'd love to be able to quit my Job and Blog Full Time, meeting amazing people and seeing amazing places. 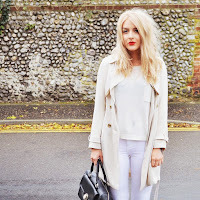 I love Rosie Connolly of www.heartsheelsandhandbags.blogspot.com. She's amazing and her little boy is the cutest. 5. Your thoughts on the Blogging industry? Right now, I think that Blogging is so popular so everyone is competing to be at the top and get recognised. It's a difficult industry to make it in I think as theres so many bloggers, especially in fashion and beauty. However people jump into Blogging thinking of all the perks and I'll tell you it's not like that, especially straight away. You may get the occasional gift but don't expect free shoes and clothes for nothing! Blogging is such hard work and lots of people fail to see that. Blogging IS a Job, and a hard one at that. But I do love what I do and if it's your passion then I'd definitely say go for it! 6. Your thoughts and experiences on Working with Brands? I haven't worked with a lot of brands, maybe around 10 but they have all been great! As a new-ish Blogger, I haven't been paid for these posts but it's a great way of getting experience and building your brand. 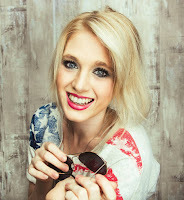 Heya, I'm Albertine and I Blog about Fashion, Beauty at www.dippywrites.com! I also make YouTube Videos and edit the Fashion section of Online Magazine PlusMinus. I started Blogging because I’ve always enjoyed writing and I wanted to set up my own little corner of the web to share my thoughts and opinions! As soon as I discovered YouTube, then eventually bloggers, I knew I needed to set my own one up and get involved with the amazing community! The biggest challenge for me has definitely been finding a strong ‘voice’ for my blog. It takes a while to suss out what you really want from blogging, but once you do it makes it so much easier and more enjoyable! My dream would definitely be to go full time! I don’t think I’m anywhere near that right now, so a more achievable goal would be to attend LFW. I have lots of favourite bloggers, some at the moment are Becky of www.beckybedbug.com, Jane of www.britishbeautyblogger.com and Jess of www.copper-garden.co.uk! I think the blogging industry, and how it’s rapidly growing, is really amazing! It’s really cool to see people turning a hobby into a career and achieving their dreams. I’ve been lucky enough to work with a few brands so far, and I’ve really enjoyed it! The only problems I’ve had with working with brands are when they don’t truly understand the time and effort that goes into blogging, and creating content, but I just turn down any offers I don’t feel are worth space on my blog. 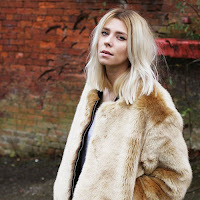 I'm Robyn, a style blogger & vlogger at www.phasesofrobyn.com and I love minimalistic fashion. I love the blogging industry and think it's becoming one of the main ways companys will choose to advertise from! 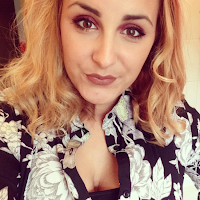 I began my blog once I left University due to illness so was at home with too much free time! I've always read blogs and followed them so thought I'd turn my passions for clothes into something different - by showcasing them instead of just owning them! I'd probably say either money (i felt like I needed it to have fresh content and looks) and technology problems too. You need to have so much background knowledge of the internet and creating a website is a bit of a task when you've never done anything like that before! To be a full time blogger. By this I mean either have a job relating to social media or marketing or whatever, and then do my blog on the side (making money from it) or just being a blogger on it's own and make it my career. I have loads but my favourite big bloggers are Sarah Ashcroft of www.thatpommiegirl.com, Lydia of www.fashioninflux.co.uk, Lily Melrose of www.llymlrs.com and people like that. Some smaller blogging favourites are Chloe of www.thelittleplum.co.uk, Holly of www.hollylovesthesimplethings.co.uk and Alanda from www.whiteandcapsule.com. I think the community is genuinely amazing. The whole industry is great fun to be part of and is very friendly. I also think it's an amazing way for brands to reach out to customers. I do think on the outside it has a bit of a bad stigma though and people think that the blogging industry isn't helpful and is useless/lame. 6. Your thoughts and experiences Working with Brands? Generally working with brands is very fun! They are always lovely people to be in contact with and are so kind to reach out to you and offer products etc. I do find it's hard to work with brands if you don't have a huge following - and it's hard to get the following if you don't work with brands... It's a tough cycle. 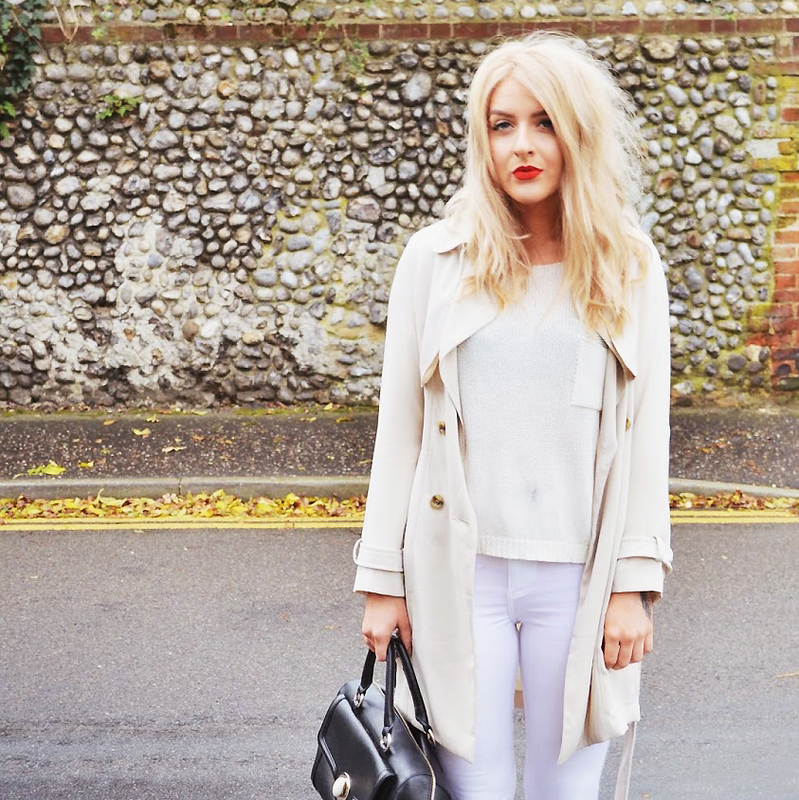 I'm Holly, a fashion, beauty and lifestyle blogger. I am absoloutley obsessed with minimalist, monochrome style and am constantly wearing a bold lip whenever I get the chance. I'm forever taking photos and hoping to inspire. I started blogging when I dropped out of college. I was feeling really lost and didn't know what I was doing anymore. It just hit me one day that what I really wanted to be doing had been staring me right in the face for years. I'd always loved Blogs and YouTube, so just bit the bullet and did it myself. My biggest challenge when blogging would definitely have to be time management. It's so easy to get carried away doing things and blogging takes up so so so much time. It's a full time job! My blogging dream is for people to just love my blog and accept me. I would love if I could turn my blog into a business too, but the most important thing to me is that it makes me happy. Oh my god the list goes on! I think the blogging industry is fabulous. Yes, there are some people who can be very competitive, but for the most part everyone is lovely and so supportive of one another. It's amazing to see just how powerful bloggers are nowadays- brands are always looking for bloggers to feature their things - it's crazy! Working with brands has always been pretty good for me. I only work with brands I truly like and have always had lovely experiences. If a brand is bad at communicating or doesn't fit with my blog, I just leave it. Also, I don't think there is anything wrong with sponsored content - it can still be very honest and you know, bloggers have to make a living some how! I started blogging because a friend suggested I do it. She (and others in my office) were always asking for ideas for things to buy as gifts, and places to go. My friend suggested I write it all down and share it with the world. The biggest challenge when blogging for me, is not getting too demotivated at the start. It's hard to get people to read your blog, and share your Tweets, posts, etc, and at times I think I have only 2-3 readers. But I know that perseverance is key. I'm not sure I really have a proper "dream". I'd like a few more people to read my posts, and maybe get some feedback from anyone to say they've found it useful, or bought something I've suggested, or it helped them with their own ideas. My favourite Bloggers are Emma of www.ejstyle.co.uk, Rosie of www.thelondoner.me, Karen of www.missionstyleuk.com, and www.thehardytraveller.com. A mixture of fashion, travel, and lifestyle. I don't really have any thoughts on the industry yet as I am new, so not yet jaded, or enthralled. I've not worked with any brands yet. I've recommended a couple of products that I have purchased myself, and written about them. A couple have "favourited" or "retweeted" so in that regard it's positive. But I've not collabortaed with any brands, or done any sponsored posts yet. Laura Gale of www.lalaldn.co.uk I am 21 and makeup obsessed. Currently studying law in London. I started blogging because my degree subject is very logical and structured and I desperately needed a creative outlet! My biggest challenge when blogging is photography. I don't own a DSLR and shoot purely on my iPhone 6 so natural light is key! My blogging dream is to frequently be invited to blogging events and meet ups, I love meeting new people. Get back to me on this one?! My thoughts on this industry: it's great, it's such a close-knit community and allows likeminded people to connect. It also provides a genuine hobby and looks great on a CV. I've only been lucky enough to work with two companies so far and have enjoyed both experiences. As long as the writer is still providing truthful accounts, it is beneficial to everyone! 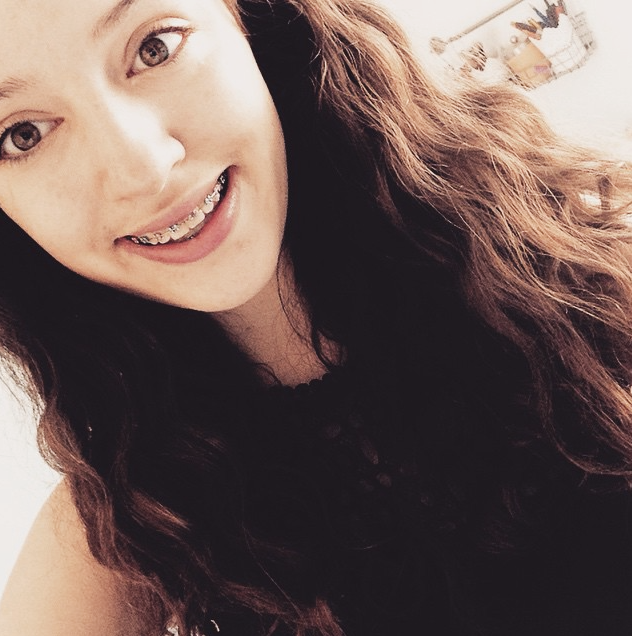 I'm 15 years old and I only started my blog recently! Within a day of my blog being started, I felt so accepted into the blogging community! I started blogging after wanting to for several years! I knew it was something I wanted to do, so this summer when I was quite bored I just decided to go for it! I wanted to start blogging so much because it's a way to share your thoughts and opinions on different things. I've only just started my blog so there's still so much that I need to learn! One of the things I find the hardest is trying to take good quality photos. I think photos are essential for blog posts, but it can be hard to take them sometimes! I would love to get a bigger audience eventually but mainly I would like to improve the quality of my posts! I would love to run a giveaway for my followers and also have opportunities to work with other brands and companies! Additionally, I would love to talk to more bloggers and hopefully meet them one day! Izzy of www.daisychainsintherain.wordpress.com, and Iona of www.wildhairdontcare.wordpress.com. They both are lovely blogs with great content! 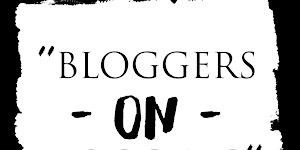 I think the blogging industry is a really interesting one to be part of! There's so many positives like all the lovely people and having the opportunity to share your thoughts and feelings! Although I have only had one chance to work with a brand, it was a really good experience. They were so lovely and kind and I didn't feel like I had to work with them at all (although I was glad I did!). I'm still working with them at the moment and they regularly contact me in such a polite way! Unfortunately, I was also given another opportunity from a different brand and I decided to turn it down.They didn't understand that I had other commitments and I didn't want to work with them, so they kept contacting me and trying to get me to work with them. This upset me since I felt like I had no choice. Luckily, most brands aren't like this! 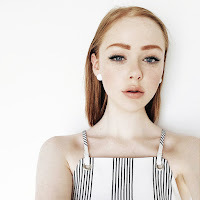 I am a 20-year-old fashion, beauty and lifestyle blogger and YouTuber. I’m currently studying Journalism and English at the University of Salford. I have been blogging since I was around 14, but only shared my blog on social media at the beginning of this year. From there I started doing YouTube videos in June. Blogging is the best thing I have ever done. It felt like there had been something missing in my life until I started blogging (really cheesy, I know). My blog focuses on a range of subjects from fashion to advise. Ive never wanted to tell people how to dress or what products to use. If they read my blog and think “yeah, I might go and try that new mascara”, and I have helped, that’s great. All I want is for my readers to enjoy what they're reading. I try to post twice a week and now I have redesigned my website, its a lot easier to navigate and find a post that you're looking for. I started blogging because I loved all thing fashion and beauty related. I started following more and more bloggers on Instagram and realised that’s what I wanted to do. Finding the confidence to actually share it with social media was another thing and too long of a story to tell. At first, the biggest challenge when blogging was trying to balance writing content that I enjoy producing, and writing content that readers will enjoy. The pressure is immense to impress readers and all you want is for them to enjoy it, whilst still wanting to love what you do. I think I have found this balance now by just writing what I love to, and I think readers can sense that, which is what makes a blog better. Another issue I had at first, which I have now managed to control, was confidence. I thought nobody would care what I had to say, or would think my blog was rubbish, so I didn’t share it on social media for a couple of years. But, now I realise it doesn't matter, I write because I love to write and if somebody wants to read it, that’s an added bonus for me. My blogging dream is one that may seem pretty boring. All I want is to get recognition from readers and other bloggers. For a blogger to say that they enjoy what I write, is my dream. Blogging is difficult to make yourself heard, as there are so many out there. 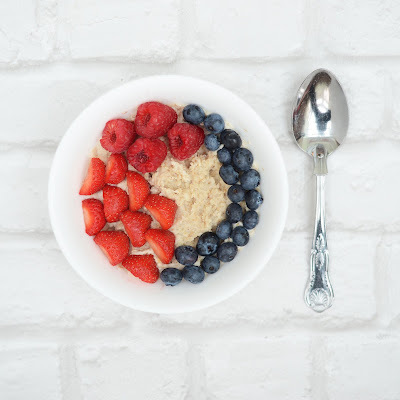 However, once in a while, that Instagram post that promoted your Summer must-haves, makes its way to another blogger and eager readers which reassures you that you ARE doing something good and worthwhile. Having a passion for blogging is just the beginning. It grows you as a person and recognition is one those rare things that adds to the love that I have for blogging. I have a few favourite bloggers, and these are who gave me the inspiration to start my own. 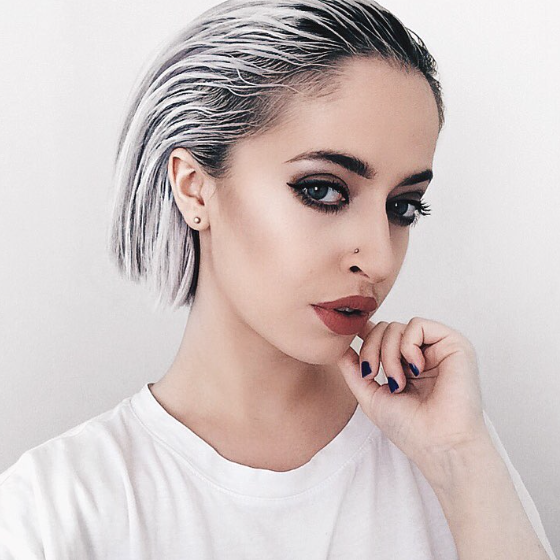 My absolute favourite has to be Victoria of www.inthefrow.com. She has always been so individual and her style is beautiful. I love the layout and THAT HAIR! I also love Laura of www.thepixiecut.co.uk! She’s seems such a lovely lady and her style again is beautiful. I love all of the fringing and denim she wears. We all love a bit of fringing. And finally, obviously I love www.StyledByCharlie.com! Ive followed her on Instagram for a long time now. The monochrome layout is so sophisticated. I also think it is so brave to share with readers an illness that isn’t understood. She helps a lot of people, by just sharing. Its so hard to just comes to terms with, and to share that with hundreds of readers, is the bravest thing you can do in my opinion. The blogging industry is a tough one to have an opinion on, as I haven’t been in it for too long. But from what I have gathered, its so hard to get yourself heard! You can love blogging, and write as many posts as you want, but all you need is for one blogger to enjoy your writing, and it escalates from there. The really positive thing I love about the blogging industry, is that anyone can get involved. You don't have to be an expert in fashion and beauty, but you can still be apart of it. It gives bloggers so much freedom to write whatever they want and get your opinion across. As I am a newish blogger, I haven’t yet worked with brands. 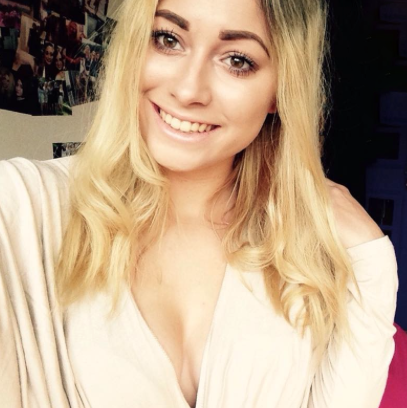 My name is Madison Edwards-Porter I am 18 from London. I have recently finished a two year fashion design course (which I loved) and I’ll be starting my first year of university in September studying Fashion Journalism at The London College of Fashion. I started content in black in September 2014 as a way to keep my language and writing skills up to par, after a few months I caught a serious blogging bug and now I cant stop! I can't wait to see what the future holds for me and my blog. I started blogging as a way to keep me writing. Buying clothes: Buying on trend/ before trend clothes when you’re a student and your not promoting for a brand is tough! 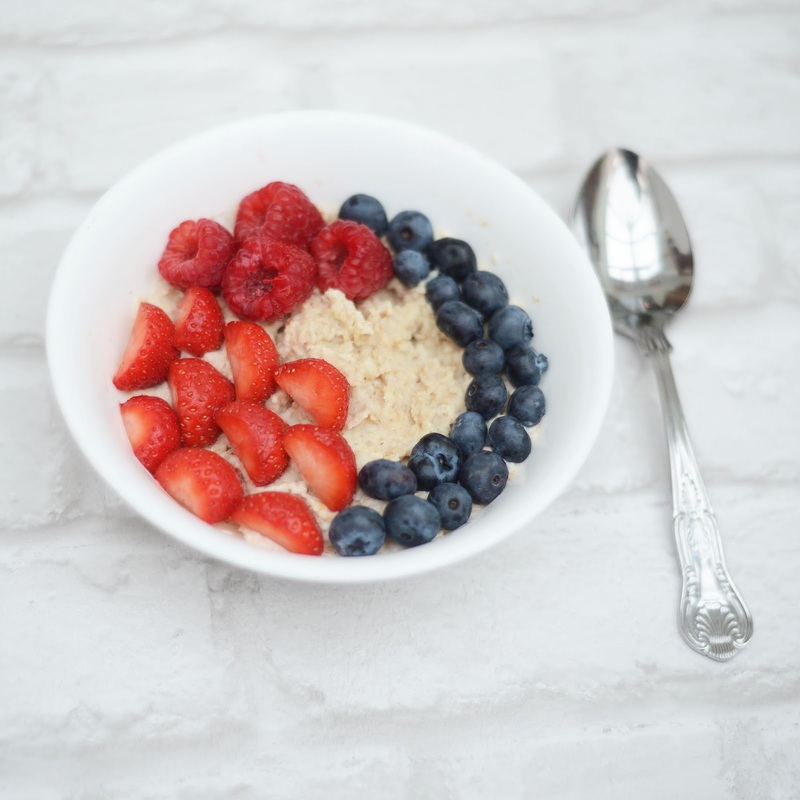 Keeping it interesting: blogging is so competitive, it’s kind of like a blood sport and there are hundreds of young people doing exactly what your doing so trying to break the mould and keep things different can be a struggle sometimes. Location: Locations goes hand in hand with the time issue. Having a white background is probably the easiest, most effective and chicest way when it comes to taking pictures but I am a sucker for a different location. I think it adds to the outfit and brings the post to life. Driving around to find the best location can be pretty time consuming. 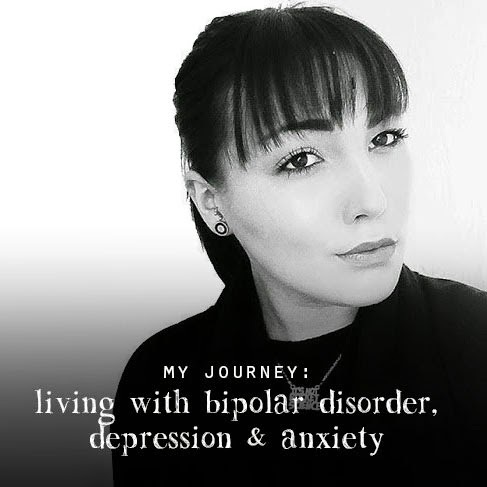 In the beginning I didn’t have much ambition to become a blogger I just wanted to write but as I’ve become more aware about blogging and the lifestyle that comes with it my goals have changed slightly. I would love to one day be a recognised blogger and being an opinion/voice that people look forward to reading/hearing from. I would love for the next generation of bloggers to read my blog the way I read some blogs. Hannah Crosskey/Cox of www.afashionfix.co.uk, Sarah Ashcroft of www.thatpommiegirl.com, Margaret Zhang of www.shinebythree.com, Olivia Purvis of www.whatoliviadid.com and Chloe Helen Miles of www.chloehelenmiles.com. The blogging world is a wonderful one. You can make the most of what it has to offer and watch it transform your life or you can blog as a hobby and keep it on the side. As of yet I haven’t had the opportunity to work with a brand, it is something I would be interested in in the future once I build a bit of a following on my social networking and become more confident as a blogger. I’ve seen many bloggers promote for brands both big and small and I love to see new and exciting projects come to life. 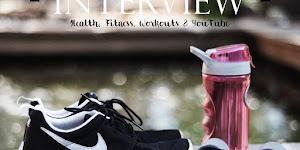 I blog over at www.NotYourAverage.co.uk and it’s mainly Beauty and Lifestyle topics, including the odd parenting ramble or cooking post - something for everyone really. It’s my little sanctuary, somewhere I can get lost in for a few hours a day, editing photos, rambling about something or other or sharing my favourite products, if I feel like someone will relate to it, I’ll talk about it. Head on over to see if there’s anything you like! I started my blog way back in 2011 officially, when I was at university. I wasn’t into the whole ‘going out’ scene as I started uni when I was 21 and had done all of that before so to keep me busy on the nights where the rest of the block would go out, I thought i’d start my little blog. It didn’t do so well and I decided to revamp it in 2012 and give it another go properly. My biggest challenge whilst blogging has definitely been keeping on top of it all whilst being pregnant/having a baby/studying/working all at the same time. There’s weeks that I’m really prepared, have photos taken and posts scheduled then there’s other weeks that I’ll struggle to find 10 minutes to sit at the computer properly and write. I don’t really have a dream when it comes to blogging, I simply do it because I enjoy it. Obviously, it would be wonderful if I could officially call it my ‘job’ and work from home because it’d give me more time to spend with Millie. No matter what happens though, I’m going to continue doing it as bloggers really do get some incredible opportunities and I’ve loved everything I’ve experienced so far. But for now, I’m happy enough calling it a hobby. I have so many favourites when it comes to bloggers but I think that to start it all off, it has to be Anna of www.viviannadoesmakeup.com. I love the layout of her blog, it’s like a digital magazine and she covers the ins and outs of the beauty world so well. 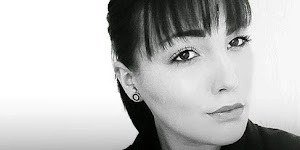 Sophia of www.tattooedtealady.com is another favourite of mine, I’ve read her blog for years and she’s actually a good friend who lives close to me. 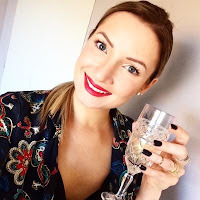 Next is a fashionista/lifestyle blog that is Megan of www.wonderful--you.com - amazing photography and she includes lots of different lifestyle topics too. The blogging ‘industry’ can definitely be a hit or miss topic for some people. Most people (those who don’t know what ‘blogging’ means) have no idea what you do as a blogger, what it means to be a blogger or even the effort it takes to be one - it can get quite complicated and even embarrassing having to explain yourself to someone who doesn’t get it. The blogging world as a whole does, however, make this simpler especially when it gets given the thumbs up by massive organisations like Youtube and Instagram. Bloggers are an asset to companies in my eyes and the industry as a whole helps other industries, beauty, fashion etc, flourish in ways that wouldn’t have been possible 10 years ago. All in all, I think the blogging industry is one that hasn’t hit it’s peak yet and there will definitely be more to come from it and from being apart of it too - so watch out! I’ve worked with a variety of brands and companies and luckily, never had any bad experiences. I’ve had some fantastic opportunities come from working with brands and companies and they have also been kind enough to help with a meet up I was crazy enough to host back in 2013. I worked with over 20 brands to put together amazing prizes and goodie bags and without their help, it wouldn’t have been such a success. I think working with brands has to be a 2 way street - you have to respect what they’re asking and them you - don’t expect a 500 word post on something that can be summed up in 2 minutes during a conversation with your mate. 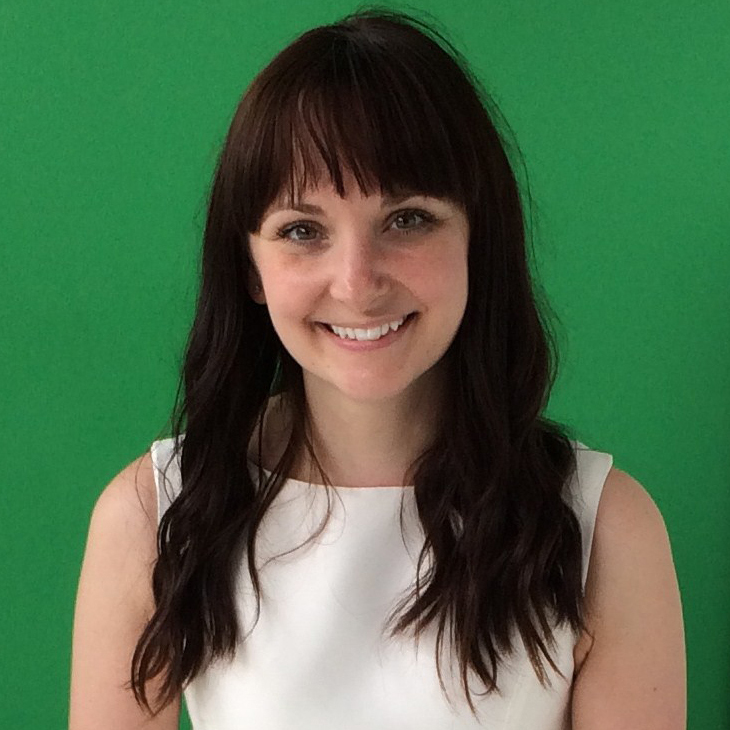 Brands need bloggers and quite essentially, we need them too. 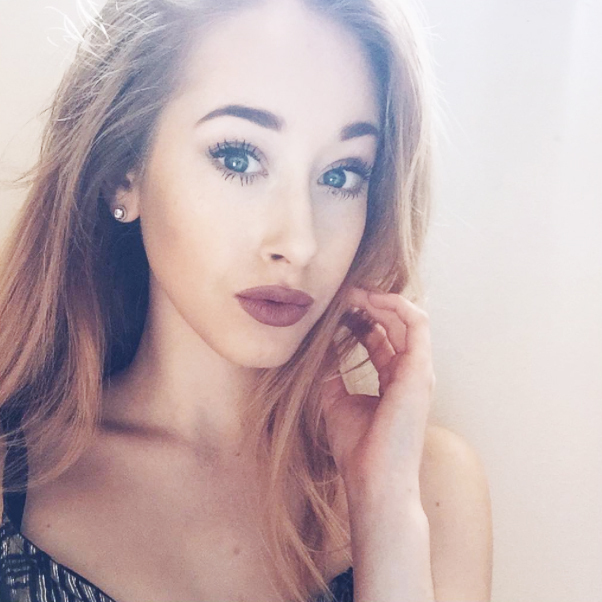 I'm Georgia Mae, fashion/travel blogger and fashion student. I've recently just come back from traveling Australia and can't wait to share all my tips and stories! I always was a bit reluctant to blog because I feel like people judge a lot but then I learnt you don't need to be a professional to share your thoughts about what you love and that's exactly what I wanted to do.. Share my love for fashion and travel! The biggest challenge I would say is writing. I'm not the strongest writer, and with dyslexia its sometimes hard to write how I feel without soundings too complex. Blogging has made me become much more confident with my writing! 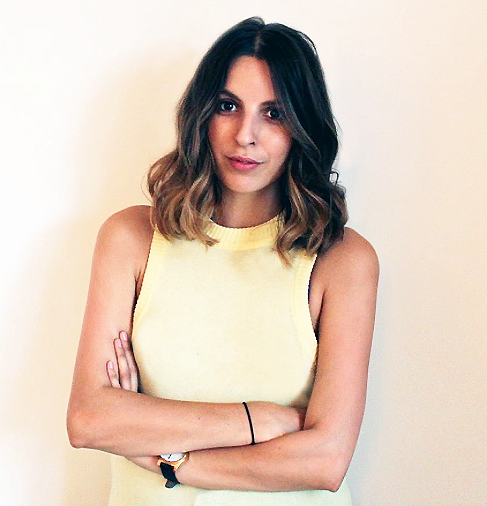 Ever since coming across www.manrepeller.com she has completely inspired me. Her concept is so strong and unique its beautiful what she does! Girl power and all that jazz! I'm worked with a lot of brands and probably most girls can agree that you often get faded into the back sometimes. I'm currently working as a marketing assistant for a small jewellery brand and absolutely loving it! I much prefer working with smaller brands as you get more involved and your voice gets heard. It's tough but who likes making tea and coffee? Not me. 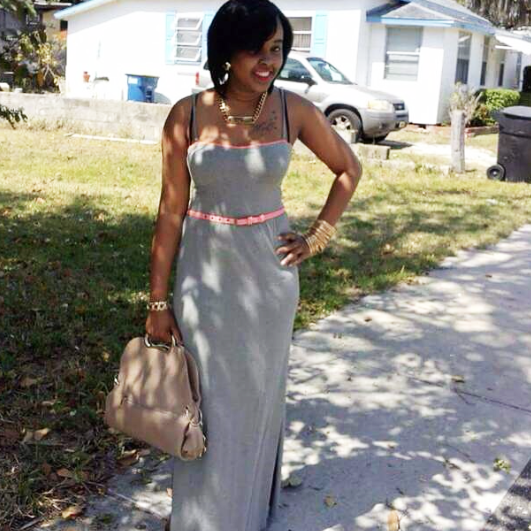 Im Javanna from Jamaica and I run a Beauty, Fashion and Lifestyle Blog that I 'successfully' relaunched. I've always loved fashion and beauty I just developed a liking for as I grew older. I started blogging because I had just big chopped and was so excited about all the new stuff i was learning but none of my friend were interested in sharing my excitement. So I goggled how I could share my info with other like minded persons and blogging was one of the suggestions. I've been blogging ever since. My biggest challenge when blogging is whether my content is interesting. For example did I write it interesting to grab people's attention. 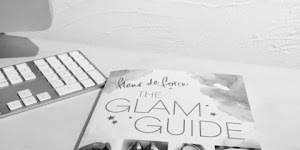 My Blogging dream would for my blog to gain notoriety, become a source of income for me and to be a like fashion, beauty and lifestyle bible for readers. Lauren of www.laurenolauren.com and Natasha of www.stylishlee.com. I'm so new to blogging (seriously dedicating myself to blogging) I didn't even know there was a blogging industry. I need to do my research! I can't speak on any experiences on working with brands because I've yet to work with any brands. I think with brands help you reach new readers and lets your loyal readers feel appreciated when you have give ways and let them know what to expect when if they decide to try this product. My names Jenn and I'm a newly turned 30 year old 'grown up girl' from the UK. Cordelia is an outlet where I can be myself, I just love sharing with people things that I love and that I'm inspired by, almost like a moodboard of my day to day life. I'm inherently nosy and just love seeing inside peoples wardrobes, bathrooms and looking at their holiday photos, so I hope that my blog caters to my fellow nosy readers. I think without realising it I've always been abit of a blogger, I document everything! I had a diary for my childhood where I wrote in it religiously every night about my day, sticking things in it such as sweet wrappers and letters from my school mates and whilst travelling a few years ago I did the same - I shared it with a few of my friends and family and they all commented that they loved my writing style and wanted to read more - so that's pretty much where Cordelia began! At the time I had no idea that I would start writing for brands, I saw it more as a diary for anybody to read. I think my personal biggest challenge is to not compare myself to other bloggers, especially those who do blogging as a full-time career. I certainly can't afford to buy some of the equipment that they buy and as I work full-time I often have to decline invites to events that I would love to attend. It's about remembering that I do this for a hobby and because I enjoy it, not because I need to live upto others expectations. I think it's important not to expect too much from blogging, I genuinely get just as excited now when a brand contacts me as I did when I started over a year ago. I just love it when a reader tells me that they've bought something after seeing it on my blog - I used to run a boutique so my career was to advise people about new brands and styles, to be able to still do that alongside my totally different career at Boots head office is a dream in itself. My favourite bloggers are Lucy Williams of www.fashionmenow.co.uk - our style is so similar and she mixes designer with high street which is great as I am often buying things that she recommends and Danielle Bernstein of www.weworewhat.com - her style is insane and I am always trying to copy outfits she puts together (but with a cheaper price tag!). Honestly? I'm not a massive fan of what it has become. People have become too hungry for free stuff and I feel like some do it for the wrong reasons. Alongside my blog I also sell slogan tshirts which I design and make (www.cordelia.bigcartel.com) and the amount of emails I get from people asking for free stuff without even researching my brand or showing a genuine interest can be quite sad. However, saying that, the ones who do it properly and genuinely love what they do are fantastic! I am ALWAYS on Instagram and I am daily inspired by everything from what to wear to how to decorate my home, I think its fab that so many people have an outlet to share their creative energy with others! I have had the pleasure of working with some beautiful brands and it's so exciting to be able to work with some that are just starting out and then watch them grow. I'm fortunate that I don't really have anything negative to say about the companies I have blogged for (so far!) and always receive great feedback about my posts which is always a winner. I tend to approach and be approached by independent companies rather than the mainstream ones, I'm not naive and I understand that's because my followers aren't as high as the bigboys of the blogging world but to be honest that's also what I'm about, coming from an 'independent boutique' background, for me it's important to support the smaller and local businesses and that's where I get my kick from, introducing brands to people that they haven't heard of before. 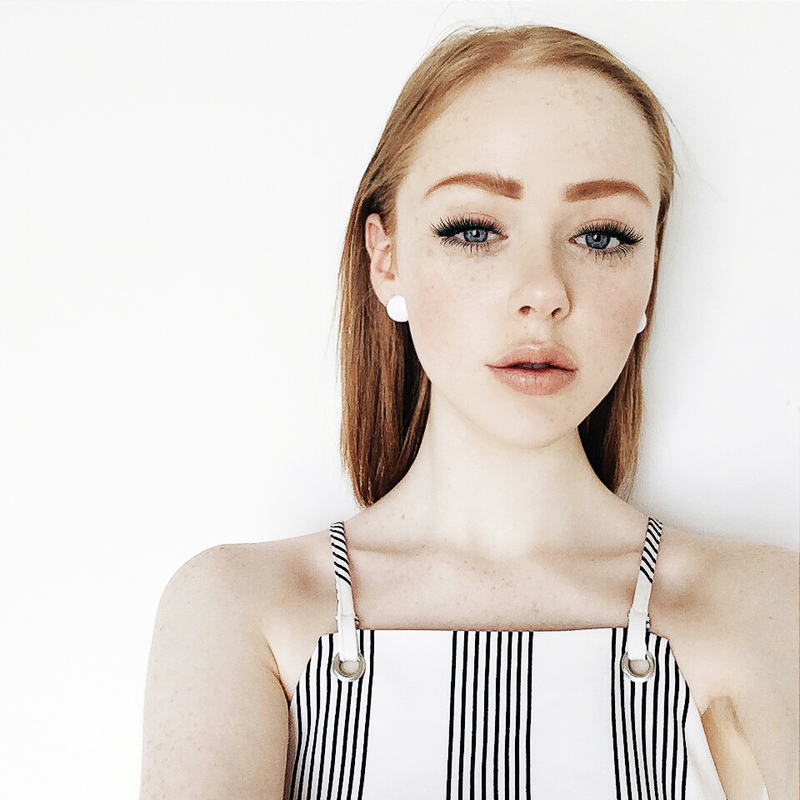 I'm Lucy or Lucinda, and my blog is a place I can show people my true self, through fashion. Blog because you actually enjoy it and always have fun with it! I started because I loved fashion, I loved photography and wanted to put the two together. Keeping up with posting and outfit posts when you constantly feel insecure about your body. To become a full time blogger, travel the world and blog the entirety of it. Vanessa of www.thehautepursuit.com - all time fave. As well as Aleali of www.alealimay.com, Danielle of www.weworewhat.com, Estée of www.essiebutton.com, Sammi of www.beautycrush.co.uk. It's a great community, i've made some amazing blogging friends. It's difficult now as there's so many of us, but I do this because I absolutely love blogging so nothing is going to stop me. 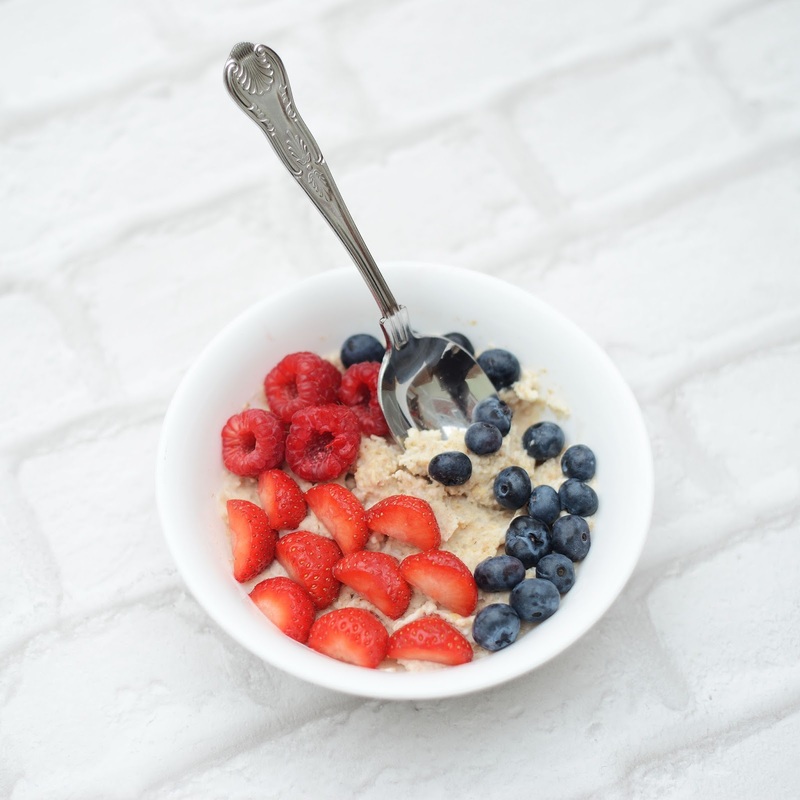 Most brands that contact you first - great, the brands that actually have seen your blog and know your aesthetic and contact you because they have a similar one, that's perfect because they actually have a good interest in you and your brand/blog. Though there have been times when i've done a lot for a brand that's contacted me and got absolutely nothing in return, no credit, no products, nothing, all because 'I didn't have enough followers' so you have to be careful and make sure you ask the right questions before working with certain ones. I'm Paula and I am the Editor behind The LDN Diaries. The LDN Diaries covers all aspects of what I love; fashion, beauty, food, travel and events in London. My boyfriend Danny also covers all the manly aspects of the blog including male grooming and tech. Together we look to inspire our readers and give an insight into life in the capital. In one of my previous jobs I worked with bloggers on a day-to-day basis, reaching out to them to work with our clients. I spent most of the day getting to read blogs (the dream right?) and contacting them. I was just so inspired by what someone could do, creating a space for themselves on the internet that I decided to set up my own. I love writing and sharing with others so it was the perfect way to express myself and create my own unique space on the net. I think one of the biggest challenges can be not comparing yourself to others. I’m constantly on social media, so when you see another blogger going on said press trip or event that you weren’t invited to, you can sometimes get a little disheartened to why you weren’t invited or whatever reason you may think your not good enough compared to them. So I guess the biggest challenge is not to compare yourself to others and just focus on what you are doing and what you are achieving. I’d love to have my own line of products one day. Maybe a t-shirt line or a beauty product,that would be amazing. I’d also love to get to the point where Moschino are gifting me the new collection, I can but aim high! I absolutely love Sazan Barzani of www.sazan.me! She's an American blogger and vlogger and I take a lot of inspiration from her. Her outfits are on point and a style I would wear, plus her vlogs are really interesting and fun. Watching them has gave me lots of tips on how to improve my own. It's definitely grown since I first started three years ago in two ways. The first, the amount of bloggers there now is and also the amount of opportunities. I think brands have come round to the fact bloggers are a key part to a digital marketing strategy and how much power we now have to influence people. Big bloggers such as Zoella have definitely helped this recent outcome and I'm excited to see what's coming next for us all. I do like to collaborate with brands as they can be very fun and also good exposure for both parties involved. I do think though that they need to be very clear with what they are looking for and set their expectations to us straight up. Too many times I've worked with brands and certain things have not been discussed till the last minute which can leave you in a bit of a pickle or felt pressured to do something. I also think money shouldn't be a topic skirted around and brands should be more accepting that yes some of us do do this for a living and no we don't want to work for free. Of course there's times when the opportunity is fantastic and I will gain amazing exposure, so I'm more than happy to partner on those projects. I would say definitely work with brands you love, are happy with all parts of the collaboration and make sure you are definitely getting something out of it and it's not just a one sided partnership. Hi, I'm Amanda Bootes from www.amandabootes.co.uk. All things Food and Life. As the name suggests, I'm a Food and Lifestyle Blogger. I come from Kent in the UK and I'm 22. Female, if you haven't guessed! My Blog and my Fluffy Kitten Molly are my babies and I am a huge lover of anything Fluffy or Edible. I write for Metro.co.uk on the side and also vlog when I have the time! Blogging has literally changed my life, or at least the way I view myself and others around me, and for that I am so grateful. Why not pop on over to my Twitter and say hi? I started blogging as a way of getting all my thoughts out into the world. I had left College early to go to France as a Pastry Chef. It was a massive move for me. Moving Country by myself was a major change in my life, and I had all these thoughts that I just needed to get out. I actually started blogging under an alias name. I didn't want people to think it was me that was doing it. The stigma around 'blogging' was pretty high back then- not like it is now. I stopped after moving back home, and only started up again when I got back into Education. I'm doing my Diploma in management, and re-found my love for the creative and writing processes. My confidence in both myself and my writing had excelled so much since first starting out. So remade my blog - under my real name - and never looked back since. It was a way of just doing something for myself, I never realised I would enjoy it this much, make so many incredible friends, and experience things I never thought I would. Definitely trying to blog around Studying and Working. Trying to prioritise prior aspects of your life can be a major ball-ache. Blogging isn't just writing a few lines as I have found out the hard way. We have to be so much, to stay on top of our game. A photographer, a stylist, an advice-giver, a writer, a comedian, a social media expert and many more, and that can really take its toll on your life. It takes up more time than you could even imagine. The worst part is when you are laying in bed, and all of a sudden you just get a brilliant blog idea, and that's it. You are awake. No more sleep for you until it's done. But the rewards reap the difficulties ten times over. I think this is the same for every blogger out there. To be able to make a career out of your own hard work and patience. Our blogs are our babies. We want to see them succeed and to be able to focus on them full-time and actually make money out of them to survive doing the thing we love. But on-top of that- I think. If I could help just one person, or inspire them by my blogging- then my dream would have already come true. Now this is a difficult one for me, because mine change so regularly. I'm always stumbling across new bloggers and loving what they are putting out there. 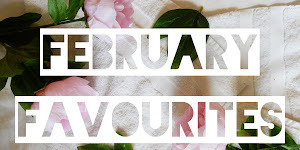 I do have my all-time-go-to favourites which are the ones that inspired me to get into blogging in the first place. And they are Lilly Pebbles of www.lilypebbles.co.uk, Hannah Gale of www.hannahgale.co.uk, Lauren Shipley of www.brittonloves.co.uk, Jemma Humpries of www.dorkface.co.uk and Becky of www.milkbubbletea.com. I love each of these for different reasons. And that's exactly what I love about blogging. We all have these unique personalities that just make us who we are. The blogging industry or the blogging community because these two things, go hand in hand but are the complete opposite on different aspects. The Blogging World as a whole, has been one of the most exciting, but terrifying experiences of my life, but I would not change a second of it. I've had my ups and downs, like we all do. Days where the photos just don't go right or the ideas are just lacking, and I just want to pack it all and give up. But you know what? I can't I literally can't. It's in my body now and I need it to survive. It has given me the confidence to achieve things in both my blogging/career/personal life that I would never have thought possible. It's showed me that I can in-fact do what I want to do, and I'm pretty good at it. The community is one of the most welcoming and friendly communities I have ever been involved in. Everyone is welcomed with open arms and we just help each other out and support each other. Yes, you have the black sheep's that want to drag you down but it just lifts you up to higher extremes. I've been fortunate to work with some amazing brands during my time as a blogger. As a Food/Lifestyle blogger it is quite easy for Companies to send you products in exchange for reviews etc. As it stands I have never had an issue with any Brands. But you need to realise when it's okay for you to say NO to a brand that isn't going to benefit your blog and readers, and when it's okay to ask for payment. We take massive chunks out of our days to get these posts out, to promote them also, so payment is not a major thing for massive companies, but can mean the most to us small-time bloggers. Working with the Right Brands is the perfect way to elevate your own brand. 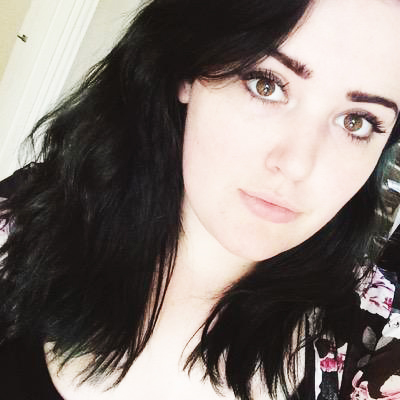 I'm Elena and I'm a 23 year old blogger (both professionally and recreationally) and illustrator living in Wiltshire. I blog about animals - I have eight rabbits, a dog and tropical fish, mental health, style and sexuality. I'm also looking to launch a small collection of hand-sewn patches and artwork at the end of September. I have been blogging in some form or another since I was about 11. Initially on MySpace, then on blogger and eventually through my own domains. Wild Bear (www.bewarewildbear.com) is the best representation of who I am and what I love. Staying focussed is a real issue. I blog for my day job in the marketing department of a mid-sized company, so sometimes I get home and the last thing I want to do is sit in front of a computer again! Ultimately I'd really love to work for myself by writing freelance and selling the things I make, and the blog would document and support that. I love Uli of www.foundsomepaper.com, Danielle of www.underlandtowonderland.com, Jordan of www.hellomissjordan.com and Kerri of www.crumbsinthebed.com, but there are so many others that I adore - this list could run very, very long! On the one hand I think it is becoming very commercialised, but on the other I think it's wonderful that bloggers are finding a way to make a living out of their passion. If you don't like sponsored posts, there's nothing forcing you to read them! I've had brands ask to work with me, and then when they find out my DA they back out, which I think is a little unprofessional, especially as you can find out other sites' DA without having to ask the owner - it just seems very lazy to me! I'd rather do cool and interesting tags started by brands that engage me, like the #ShareYourSerenity Tag I did for Portmeirion a little while back. I didn't get paid for it, but I really enjoyed doing it and for the moment that's what counts to me. 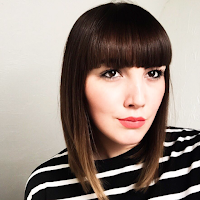 As well as running my personal fashion and lifestyle blog, A La Jode, am the Founder and Editor in Chief of fashion and lifestyle magazine Plus Minus. I can mostly be found on Twitter or Instagram! I started blogging because I'd been reading blogs for a while and suddenly thought, "I could do that!". I'd always been obsessed with HTML and building websites when I was younger (though sadly I've forgotten most of it now) so I guess it was a fairly natural progression from that. I also decided it was time to become more involved in the fashion community and actually act on my love of fashion! My biggest challenge right now is time. Even if I could focus on my blog 24/7, I'm not sure I would still tick off my to-do list! There's so much to do - from brainstorming future content and scheduling it in, to staying on top of social and editing photos - there are so many aspects to blogging. Blogging has definitely improved my time management skills and I'm sure most bloggers would agree! I hope I can continue to feel inspired and enjoy blogging. I would love to be able to one day design my entire blog myself from scratch, but my coding skills are a long way off yet! Another blogging dream would be to collaborate with some of my favourite bloggers and brands that inspire me to create something magical. 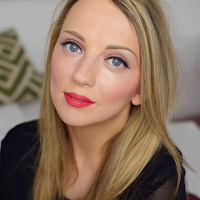 My favourite bloggers right now are Michelle of www.daisybutter.com for her captivating writing, Lauren of www.brittonloves.co.uk for her consistently great content and beautiful photography and Laura of www.heroineinheels.com for her pure passion and amazing food spots! Although I've only been part of it for a couple of years, I've loved watching the blogging industry develop. I do not agree with whoever said blogging is dead; bloggers are now firmly integrated within their respective industry and can be as influential as celebrities among the milennial generation. I absolutely love working with brands and one of the biggest perks of the job is certainly being able to interact and create content in partnership with some of my favourite brands. I have had some bad experiences, but I've learned from my mistakes and prefer to focus on the positive ones. I've noticed a certain shift in how brands perceive and approach bloggers, and I think this will only continue to improve as they become more experienced in working with us. I'm a Physiotherapist working in an emergency setting four days per week and the other time is used to be as creative as I can with my blog/meeting inspiring people. I've been working on my blog for the last 3 years now, and although it's not easy, I wouldn't change a thing! If I were to you give you any blogging advice, it would be; Figure out what makes you tick, then Go for it. I was actually entering the final year of my Physiotherapy degree and became overwhelmed by revision. I felt I needed a creative outlet and so Ropes of Holland was born! I think I have just about found the right balance now...but it gets very hectic which is tough. Just to be able to be recognised for doing what I love and being damn good at it. Lizzy of www.shotfromthestreet.com, Vikki of www.styleandminimalism.com and www.Nor-Folk.com. These are the ones I'm loving at the moment. It can be both a wonderful and tormenting industry to be part of. The wonderful outweighs the torment.... and by torment I mean days where you're hard on yourself because you start to compare your journey to someone else's. I've learnt that it is not important what anyone else is doing- you do you! I have met some of my best friends through being within this industry and have built some great working relationships with brands. On the whole, I have had positive, amazing relationships with brands. They respect what I do and how I do it so are really happy to let me explore. I have encountered some brands who are all about the following, numbers, engagement etc - now I do understand this to some extent but surely they want the right person representing them, someone who is passionate for the right reasons. The tag-line for my blog has always been 'fashion, narcissism and lame puns' which is basically my way of trying to (humorously) say that it's a personal style blog with a few Dad jokes. I love reading lifestyle and interior posts too so once or twice a week I'll pop one of those on too. I started blogging during my first year of Uni and got the bug quite quickly. I was quite the armature, but looking back at those posts (and pictures) gives me a good laugh now! Time. Working full time as well as freelancing and blogging (and being a natural sofa slob) means fitting in time for everything is a struggle. I pull a plan together week-to-week and try to stick to that as closely as possible. At the moment I'm really enjoying my process and and how it's all progressing. I would like to connect and hang out with new and different bloggers too. There are so many, but at the moment the sites I can't get enough of are www.trineswardrobe.com, Amy of www.thelittlemagpie.com, Alex of www.the-frugality.com and Carrie of www.wishwishwish.net. Obviously the industry is so saturated, it's hard for new or smaller bloggers to make an impact but I like how it feels like a community. It's great that bloggers have such a powerful voice and we're able to make a living by doing what we love. I haven't really had any negative experiences working with brands, although it did take me a while to become comfortable with saying no to things. So my full time job is hairdressing which I absolutely love, I literally put my all into it and I can't wait to have my own salon one day! Before I do that though I want to travel the world and experience so much more and see what is out there! My blog and Instagram is just my personal style and I also love makeup and I love trying recommendations from you guys.. You can never have too much makeup right? So give me a follow if you fancy seeing loads of shoes, makeup, outfits and a few selfies thrown in there! I started blogging because I was always reading them and posting outfit photos on my Instagram so my friends basically just told me to go for it. At the start I felt really silly and worried what people I knew thought of me but over time you just forget and it's just like oh fu*k who really cares? I love doing it and if I can help one girl find that perfect highlighter or cute bralet then, I'm happy! The biggest challenge is finding the time and all the editing that goes into it. I've been really slack with blogging lately as working full time and being completely rubbish with technology (my boyfriend would help a lot) I do struggle with fitting it all in! I'd say my blogging dream would be to be able to use it in say like a portfolio or C.V to get myself a job in fashion in the future. Something like being a personal shopper as I'm a hairdresser already I love making people feel awesome about themselves and fashion is a huge part of feeling good in yourself. Id say my favourite blogger is Amy of www.thelittlemagpie.com I just love her style & her personality, I like that she doesn't take her self too seriously! I also love Chloe of www.thelittleplum.co.uk (there's a pattern going on here) she's just generally so lovely and I can relate to a lot she says! Her style is gorgeous but sadly when I see her in some lush trousers I know they won't look the same as they do on her as I'm like a foot taller than Chloe! My thoughts on the blogging industry is generally really good, everyone is lovely and I love how we all give each other confidence boosts and say how sassy we look or how nice our makeup looks or "gurrrrl what's that lippy cause it's looks awesome?". I love it when brands email me asking if they could send me something to try and I've never had any bad experiences. I'm always really honest too, if I didn't like anything from their website/range etc I wouldn't still ask them to send me something to just lie about it to my followers. 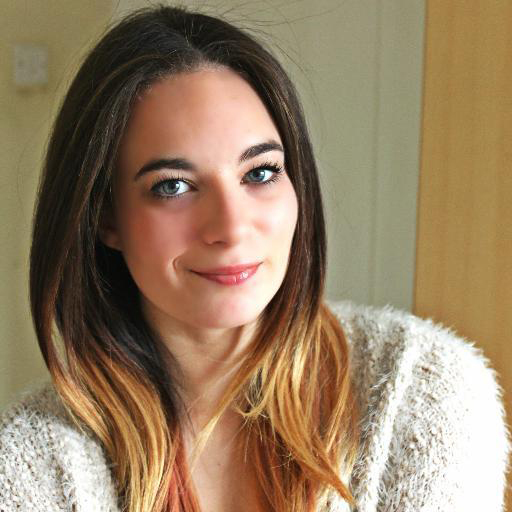 British Fashion, Beauty, Food & Lifestyle Blogger and Country Bumpkin from East Midlands. A huge Passion for Bargain Hunting, Photography and Interiors Design. 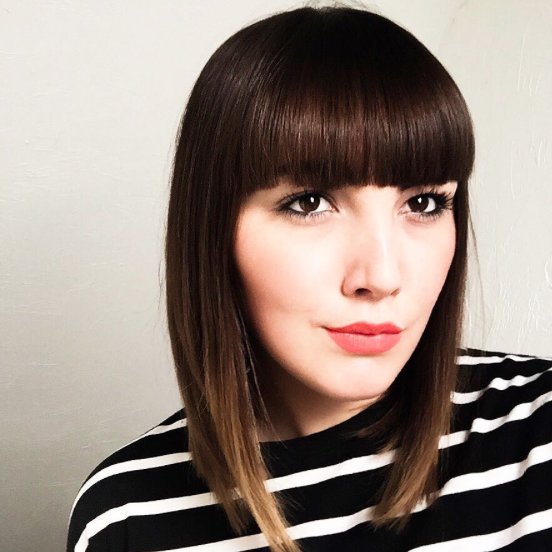 It was something that wasn't well known to me at the time but after persuasion from my Instagram Followers to start a Blog about my Personal Style & Purchases I started looking into Blogging and decided to take the plunge, What did I have to lose? 2. My Biggest Challenge when Blogging? I love Blogging, it has become my passion and over taken my original career path choice. For me it's all a challenge when you treat it like a job. I'm lucky I don't struggle with Motivation or lack of things to write about. 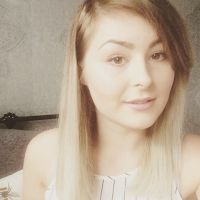 However my main challenge is my Blogging Confidence; staying positive and proud of my Blog. My ultimate Blogging Dream is share my interested, loves, shopping and bargain hunting tips and too inspire others. But Blogging Career dream to move to London, Blog Full Time and have my Book on Bookshelves and Coffee Tables throughout the World sharing my experiences, bakes, interests and hobbies. Blogs I love are mainly Fashion & Lifestyle Blogs like Megan of www.pagesbymegan.com, Charlotte of www.iamcharlottemartin.com, Victoria of www.inthefrow.com and Lily Pebbles of www.lilypebbles.co.uk, Holly of www.hollylovesthesimplethings.co.uk and Poppy Deyes of www.poppydeyes.com. 5. 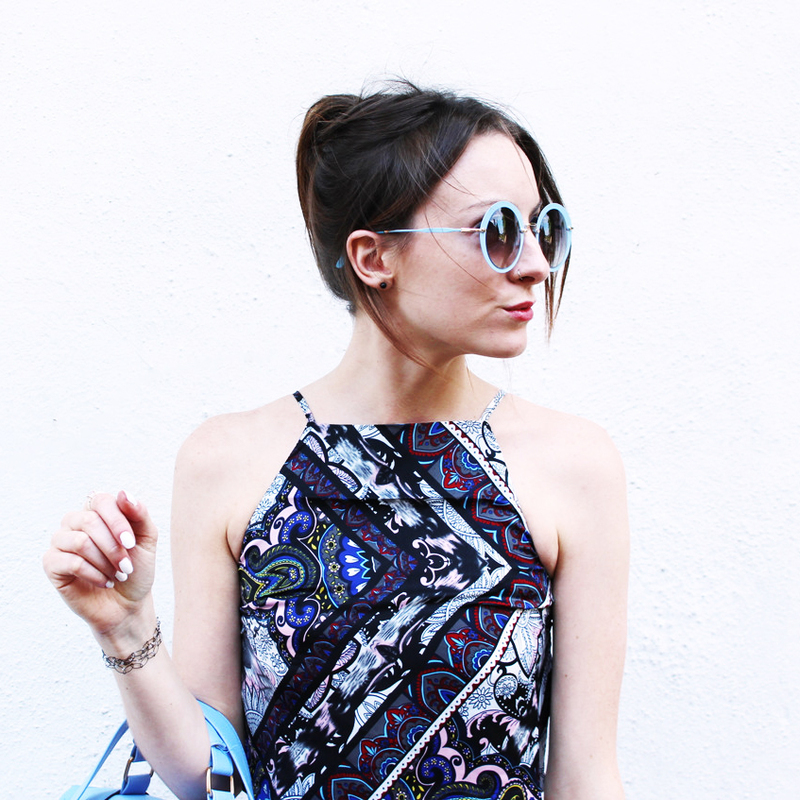 My thoughts on the Blogging Industry? It's such a welcoming community and a pleasure to be a part of. It amazing to be surround by like minded people who share the same interests and aspirations, everyone is so lovely. But that doesn't take away the complete competitiveness of the Industry and struggle finding your Niche. It's a difficult industry to excel in and make money with so many New Bloggers taking the Blogging plunge like myself, but its fun, rewarding and a job as well as a hobby. But, You've got to be in it to Win it. 6. My thoughts and experiences Working with Brands? I've been lucky enough to work with a lot of Brands and the majority of collaborations have been exciting, enjoyable and an absolute pleasure. Like working with Paul's Boutique and Sage by Heston Blumenthal (just to name two) as well as some amazing and incredibly lovely PR Agencies and I'm very honoured and grateful for that.